from point to point, can't be located. workers of the New York State Compensation Board. personal information is at risk to identity theft. and credit card information of patients. to limit your potential losses from fraud. Is there no shame left amongst identity thieves? to nearly $2,000,000 over a three year period. credit cards to illegally purchase goods. which ultimately lead to his arrest. does not pay - especially against the dead. avoid becoming the next identity theft victim? the latest victim of insider driven identity theft. used a series of false aliases. with credit card, bank fraud, and identity theft. us for further developments on this developing story. common way stolen identity information is used. fake driver's license in their name. 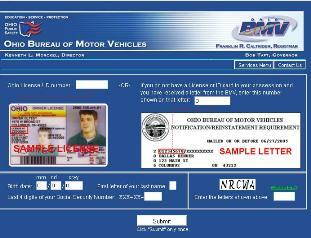 use of their driver's license information. commit fraud in your name. identity theft fraud is now in effect as of this month. Failure to do so will result in fines up to $150,000. Here's how to earn a quick $50,000 profit from identity theft. premises containing sensitive consumer information. suddenly"found" laptop immediately after a "reward"
companies as well, but the rewards there are not as immediate. security procedures after the fact of identity theft. the ShadowCrew.com website founder is going to jail. to 32 months in jail in Newark, New Jersey. and debit card account information totallying $4 million in damages. Mr. Mantovani's recent federal court sentencing. as well as pay a $5,000 fine. the countless criminal masterminds still at large. like websites not yet busted by law enforcement.